If electric skateboards and the so-called (and potentially exploding) hoverboards are not for you, why not invest in a personal transporter that you can tinker with? 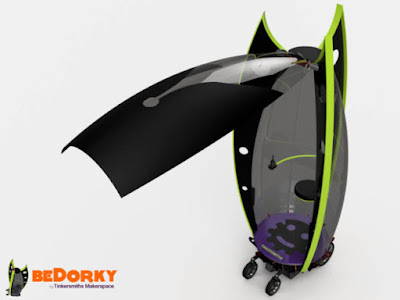 The Dorkpod, currently seeking funding on Kickstarter, is a remote control platform good for a single person, with the option to be customised and built upon however you want. 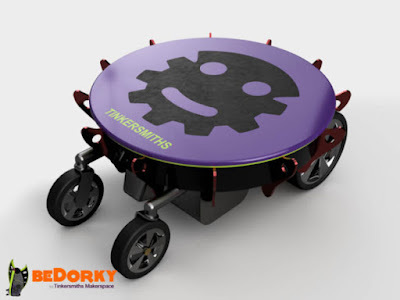 Using a wheelchair base, the Dorkpod can be modified into pretty much anything, although it seems that the dorkier, the better. Currently you can bung the project $25 to get the build plans, $350 for the frame kit (sans wheelchair part), or $3500 for a completed vehicle. You dork.